Took me a second to get to this one. 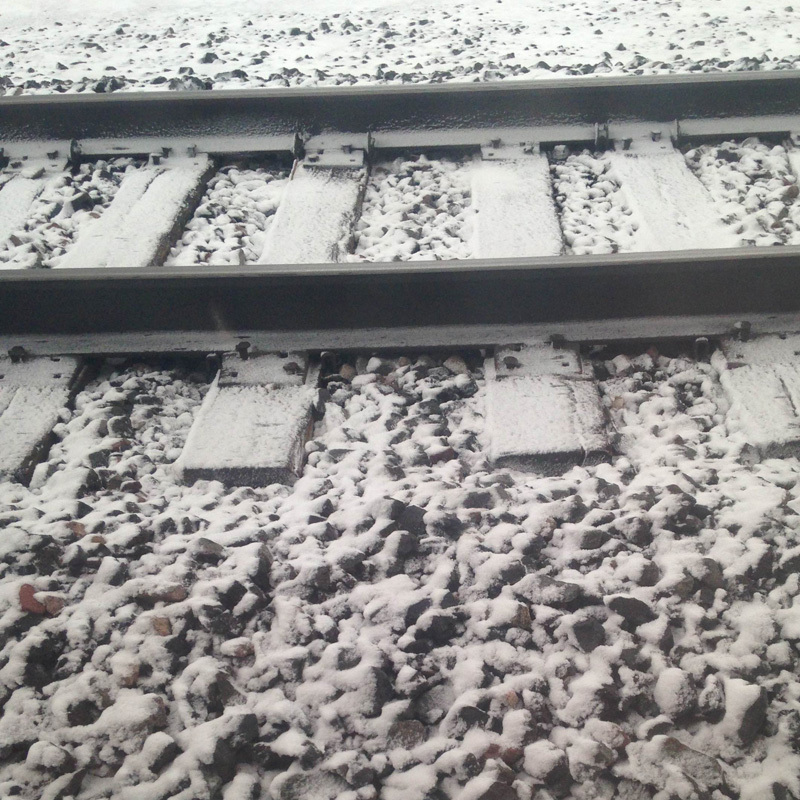 This winter has been a little hectic, but in a good way: the collision of work with school with travel to see family and friends. In-between, digging and stumbling between crates continues to be a constant. Besides my usual NYC adventures I was back in Portland for a couple weeks, and a quick day of almost getting caught by the polar vortex in Chicago – but still somehow managed to make it to the record store for an hour despite 2 feet of snow and freezing temperatures. This chaos the past couple months, combined with the ice-cold temperatures, has worked to create a bit of a bizarre tape, with more of a “rock” style edge. I tried to keep it eclectic as usual, and give a broad sampling of a few things I’ve dug up these last few weeks. All vinyl. No tracklisting, just holler if you need that science. I’d also like to say RIP to Amiri Baraka and Pete Seeger. Both had a profound effect on the ways I view and listen to music and politics. There’s this short film about a guy in Pittsburgh who has amassed the largest record collection ever. He calls it “The Archive.” In the movie, he says that the Library of Congress did a study of his collection, and found that for records released between the years 1948 – 1966, only 17% of that music is available on CD. This guy has over two-million records, so that’s a crazy number. It means 83% of the music in his collection over a span of eighteen years has mostly been forgotten in the digital age. It makes you wonder how much – or little – music from any given year may end up being “timeless,” or how long it takes for a song or album before it becomes forgotten, buried beneath hundreds and thousands of others decades later. But for us record nerds, there’s a certain kind of excitement too. It means a lot of undiscovered treasure, treasure only available on vinyl. It’s the kind of thing that inspires me to go out next weekend and keep looking through crusty stacks of LPs for some artist or label I’ve never seen before, some obscure b-side I never knew about. Since I was a kid, I’ve always been a collector – coins, toys, baseball cards, etc – but records were a way for me to move past being just another obsessive hoarder. The joy of records is playing them – not only for yourself, but especially with others. This latest tape carries that theme – I just wanted to play some of my favorite joints plus some classic breaks I don’t usually play, and intersperse a few vocal clips of people talking about why they love records. 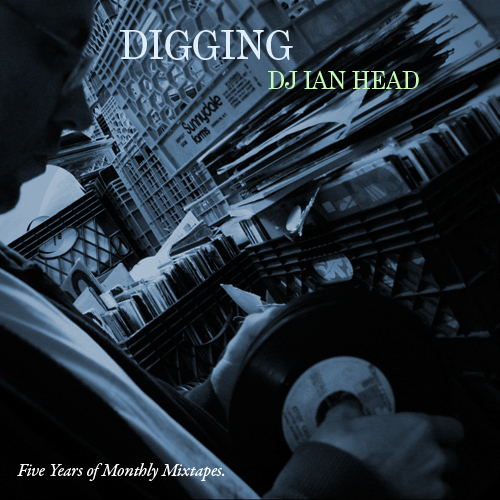 It kind of floats through various genres and hopefully is a fun sort of compilation of my continuing digging adventures. 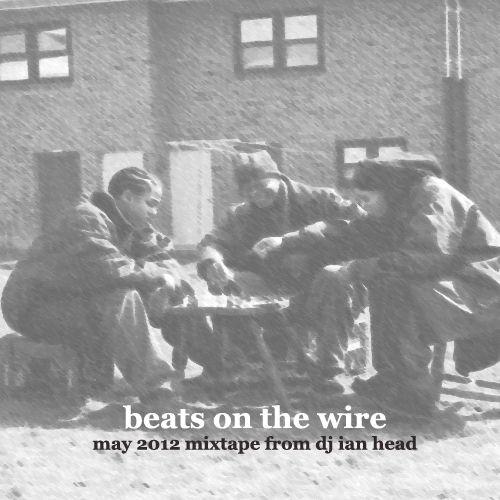 Shout out to Ani for the photo used on the cover. When people find out I’m a DJ, they usually ask me where I spin. It’s hard to describe to them that besides an occasional afterparty or random gig, I spent most of my time making obscure mixtapes for an internet audience much bigger than most live shows I’ve played. I want to say thank you to everyone who let me play these kinds of records and bumped these “tapes” over the past five years. One of the reasons I’ve continued making these mixes has been the positive reaction to them, and I feel indebted to everyone who’s stuck around and supported my tapes from the beginning. I also want to send a huge thank-you and shout-out to all the blogs who have plugged my tapes since 2007, especially Grandgood, CrateKings, and Pipomixes. Additionally, shouts to King Megatrip, JNOTA and ReDefinition Records, Root70Lounge, thisistomorrow, Stephanie Vaughn, DomeShots&FatLaces, TROYBlog, Kevin Nottingham, The RapUp, Heavy Soul Brutha and anyone I’ve forgotten who blogged about my tapes and got the word out. Further thank-yous to Verb Math, Evolve-One, Brian Burk, Alex Stange, Omega Jackson, Walidah, Dahwud, Jelani, DJ Seek-Ten, DJ Center, DJ Sayeed, Bina, Gabe T, Keyel, Kinetik and Dirty Hairy for coming through with drops on these mixes. Also big shout to Amy Goodman for saying my name on a Democracy Now! show years ago – the best mixtape drop a lefty DJ could ask for. 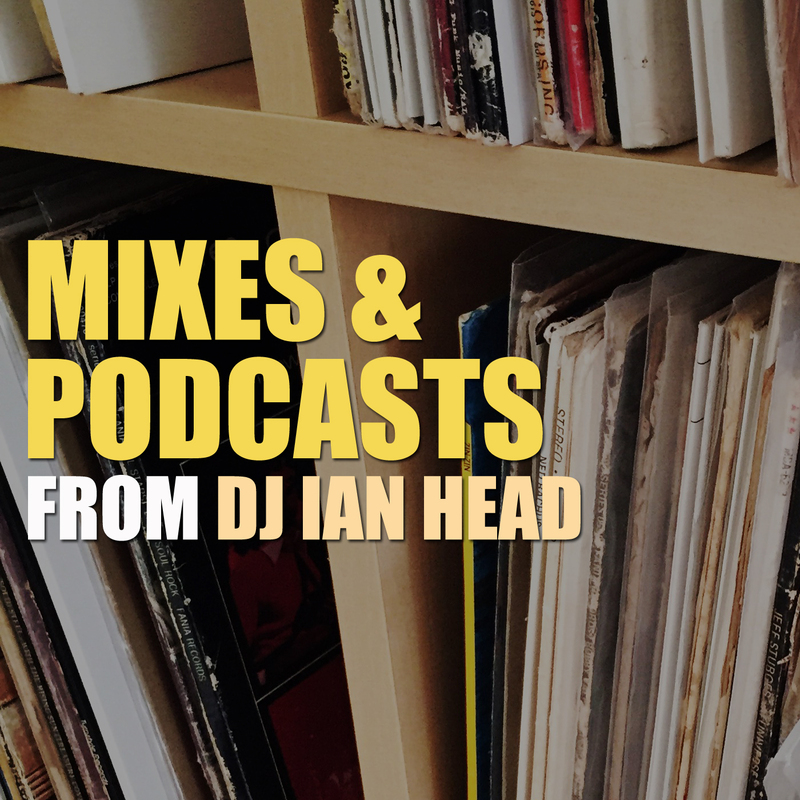 Finally, I am not putting an end to making mixtapes or new projects – just the monthly series. There will be more tapes, more creations, more experiments. Change is good, and it’s time for something new. Covers you might not have heard. Ok, didn’t get to dig this weekend because I’ve been sick with the cold. Argh. So instead I’ve been watching Transformers cartoons on Netflix, reading Wikipedia and stuffing my nose full of kleenex. But I feel a bit better this evening and thought I’d post some dope covers of songs that folks might not have heard. These aren’t “old” covers but rather newer renditions of some dope joints I’ve found while perusing the internets. The above is the Vijay Iyer Trio doing an MIA song – honestly I like their version way more than the original, but I’m not a big MIA fan. They also have a great cover of Ronnie Foster’s “Mystic Brew” on that album (think Tribe Called Quest “Electric Relaxation”) and a dope cover of Heatwave’s “Star of a Story” on their latest LP. Here is the Juju Orchestra doing Steely Dan’s “Do It Again” – a great take on a classic but in a totally different style. You’ll find me playing this at DJ gigs in the near future. One of the most slept-on cats in hip-hop, Shock G is a legend – here he’s doing a cover of Tupac’s “So Many Tears” on the keys. Shock G was not only a good from of Tupac but basically the reason Tupac got put on in the first place. I’ve held down two-hour phone conversations about just one season of “The Wire” with friends – there are no other television shows I can think of that come close to captivating me in that way. Whether it’s the story, the acting, a specific character’s trajectory, the politics – it’s upper-echelon viewing, probably the standard for modern dramatic television. It’s like a giant movie. I always wanted to make some kinda tape like this, whether or not others have already beat me to it. There’s so much great dialogue you could probably make a 12-part series of tapes, each one thematic, dedicated to a character or a season. This was just some of my favorite dialogue that I mainly pulled off YouTube – it’s just scraping the surface. Record selection was focused on instrumentals I hadn’t pulled out in awhile, stuff that people might have played twelve times when it dropped but has been stuck in the crate for the last couple years. I tried to match most of the moody beats with relevant dialogue, but I wasn’t trying to get too overly subliminal or deep with any selections. The tape is a SPOILER ALERT. It’s a bit of a risk making it – I know some of my friends still haven’t seen the show, and I would recommend against listening if you haven’t finished the series. For those who have experienced all five seasons, hopefully it’s a fun, slightly heart-wrenching little trip down memory lane. PS: I dropped a short mix for Record Store Day the other week. Click here to download. The title for this tape kinda just came together as I was making it. I wanted to break out some of the prog/psych records I’d found recently, create some kind of moody, spaced-out-but-funky tape. 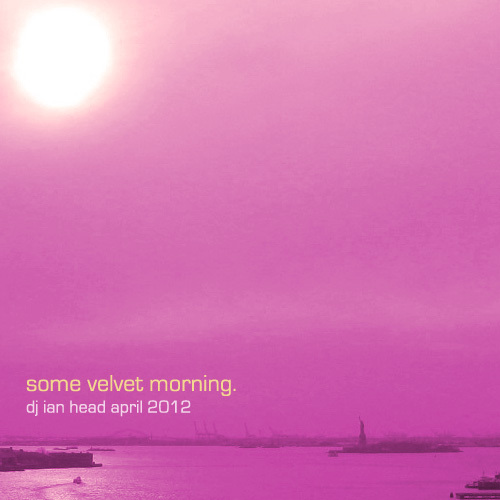 I’d never really checked for the song “Some Velvet Morning” before but playing the Vanilla Fudge version I knew I had to use it. And by use it, I mean use just a piece of it. Didn’t rock any doubles on here but I did tend to take parts from several songs – the middle, the beginning, the end – and try and blend them with some more full tracks to attempt something of a cohesive mood. A couple classics on here but mostly obscurities. Definitely some out there parts that aren’t “easy listening” but I think ridiculously musical and amazing. No track listing – I’m not really sure a track listing would even make sense on this one. Hope everyone digs it. Shout out to my Uncle Bill (RIP) for the Beatles record. Pre-internets, my dad used to have a folder of news clips he called the “Bigfoot File.” Being from Oregon, the tales of these big creatures being sighted, or huge footprints being found, were common. I remember as a kid being curious about this phenomenon, much like UFOs, and reading various TIME-Life articles on Bigfoot sightings – especially the famous videotape, which has recently been formally debunked as a hoax. Yetis, Bigfoot, Chewbacca – do they walk among us? These days, I’m not really trying to find out. But it’s October, and while I’m not a big Halloween person, I figured I’d try something conceptual and somewhat thematic this month. Some creepy beats and breaks, and various “Sasquatch Hunters” and academics giving us the breadth of their knowledge on the creature. This tape also marks four years of monthly mixtapes. Thanks again to everyone for their ongoing support. 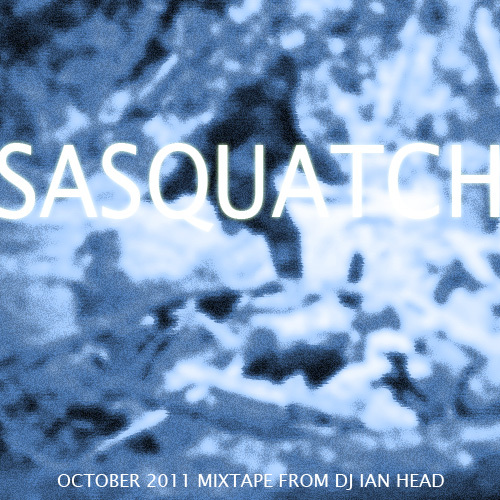 Special shout to Dan Littlewood for the Sasquatch record. 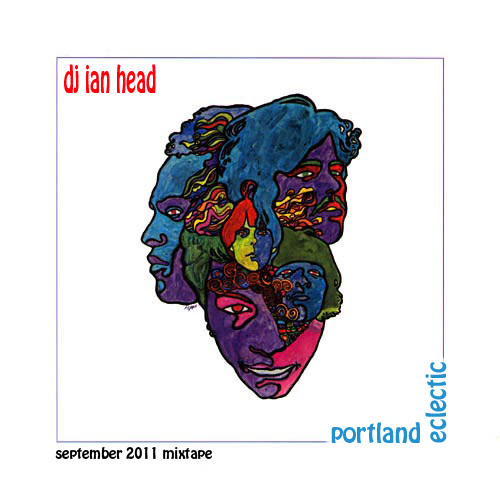 And the cover art of this tape is taken from the Love album, which I dug up in PDX as well. So ill – check for it. In addition to the mix, I did a short mix on video that features a couple additional finds that didn’t make the tape. 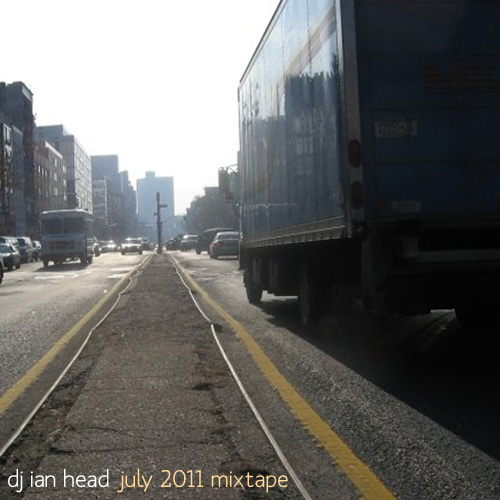 Tossing the July tape out there a couple days early since I’m headed out of town. This mix is an eclectic combination of folkysoulpyschblues, basically where my mood has been this past month of long workdays and hot weather. Untitled cuz I don’t know how to categorize it – it’s slow-moving, I guess, with songs about drifting away and social stagnation, but also dreams of the future. This isn’t a breaks or groove tape, more of a vibe-type piece, slapping together a few joints you’ll recognize and some in-between parts of recent finds you might not. No track list this month, just hit play and see what you think. By the way, thanks to all for the continued support.